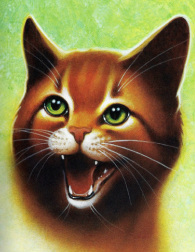 Fireheart is a brave and loyal deputy of Thunderclan. There was an omen dedicated to him: fire alone can save our clan. He is the fire that have the warmth to protect his clan and the fierceness of fire to defend it. Fireheart helps every cats from every clans, Fireheart will always be there to help if you needed. 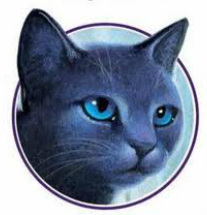 Bluestar was a beloved, strong, caring leader of Thunderclan. After the truth about Tigerclaw had be revealed, she was shocked to her core. She was never again the loving Bluestar anymore. She doesn't trust most of her clan mates, and she left all of her responsibility to Fireheart. This is the traitor Tigerclaw, he had murdered Redtail, who was a deputy, because he want to be a deputy .Only Fireheart, Graystripe and Ravenpaw knows about his treachery. 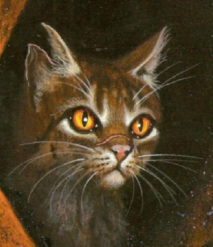 Tigerclaw was a strong and crafty warrior, so every cats respected him.So when Fireheart warned Bluestar about what danger Tigerclaw is to the clan, Bluestar refused to listen. 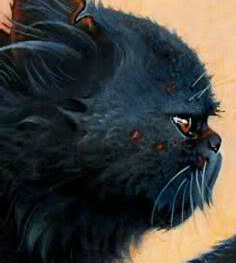 When he was finally the deputy of Thunderclan,he led a group of rogues cats into his camp and tried to kill Bluestar. But his plan didn't work, Fireheart fought him off. Now, he's the leader of Shadowclan. This is Sandstorm, she is one of the closest friend of Fireheart. Sandstorm is loyal, good at running, hunting and joking. 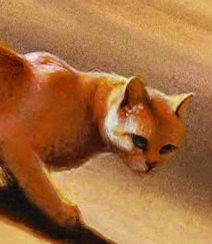 Sandstorm was hostile of Fireheart when he first joined the clan, but now she is very fond of him. Cinderpelt was Fireheart's first apprentice, but she can never become a full warrior due to her injured leg. So she decided that she wants to be a medicine cat instead. She's now the medicine cat since her mentor, Yellowfang died. She's a close friend of Fireheart. I think I most like her because I'm energetic like Cinderpelt and she's a likeble cat just like I'm a likebable person. 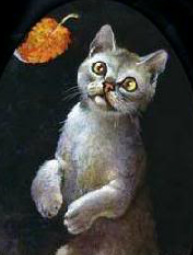 Cloudpaw is Fireheart's nephew and apprentice. First he was determined to try the best he can, but he starts to take food from humans and got stolen. He is not disobedient any more. He doesn't believe in Starclan. 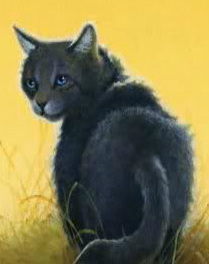 This is Graystripe, Fireheart's best friend, the first clan cat that met Fireheart as a house pet. Now he's in Riverclan because he wants to be with his kits, whose mother was in Riverclan. Graystripe is Outgoing and funny. 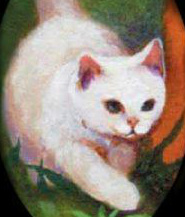 This old she-cat was found and brought to Thunderclan by Fireheart. She's Yellowfang, former Shadowclan medicine cat, she was driven out by their cruel leader(which was also his son). Yellowfang was tough but brave. Fireheart respected her, she's like his mentor. Yellowfang died from the fire.